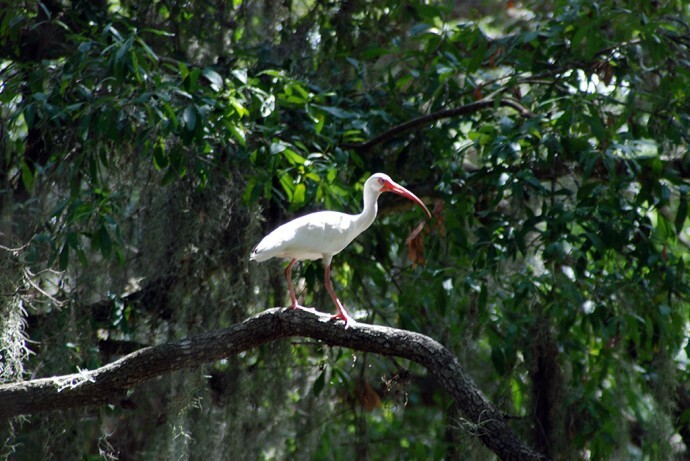 White ibis | Florida Hikes! Called curlew by native Floridians, the white ibis is a wading bird that tends to browse and travel in flocks. It is one of the more common wading birds you’ll see in Florida and has no qualms about stealing your food if you leave it unattended at a picnic table.